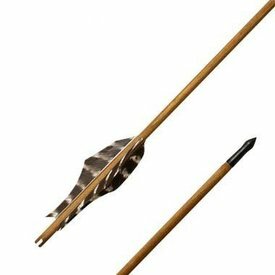 The Germanic arrow is made after historical indications. 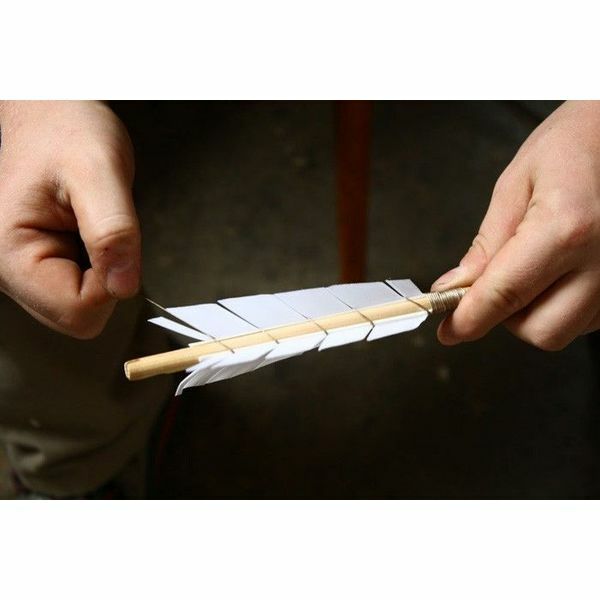 The feathers are narrower for extra safety. 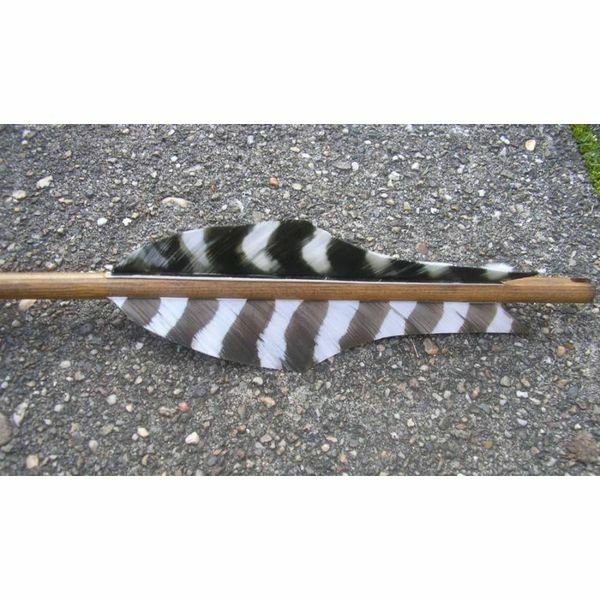 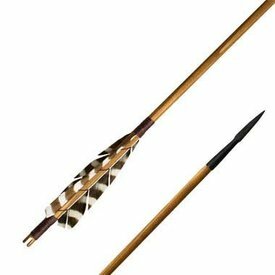 This arrow has a length of 30" (76,2 cm), is historically made and provided with natural feathers.